March 14th, 2017 | Moving Tips, Wheaton World Wide Moving. Peak season for moving is during the summer, when the weather is nice and the kids are between school years. Many jobs turn over in the summer, making it easier to find new employment in a different town. There’s no doubt that moving is easier during the summer months. However, sometimes you don’t have the luxury of planning a summer move. Winter moves, while more complex, are necessary. If you’re planning a move during the cold season. Check out these tips to make your move go as smoothly as possible. After you’ve closed on your new home or signed the rental agreement, you likely have a timeline set for moving, getting settled, and beginning employment. But the weather doesn’t follow your plans. In the week or so leading up to your move, check the weather daily. If there’s a large storm on the forecast, do what you can to move before or after it hits. You don’t want a moving van full of your belongings stuck or sliding on an icy road. 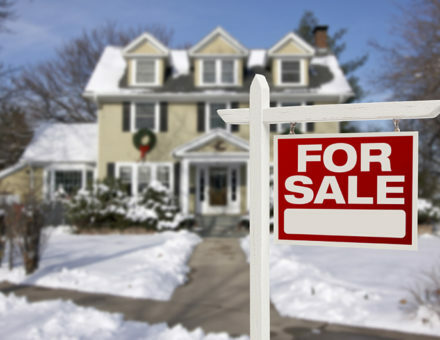 Talk to your moving company about accommodating for winter weather. They’ll likely appreciate your caution-it’s always better to be safe than sorry. If you leave snow for too long, it forms icy layers that are hard to fully remove in time for people to safely move things to and from your home. Also, keep in mind that snow plows can also impede a path to your home. If you have a large drift in front of your house along the side of the street, take time to dig or snow-blow a path through it, especially if the moving van only has street access. Another reason summer is popular for moving is the long days that allow you to take time with packing and unloading the truck. In the winter, however, you should plan to get started much earlier in the day-preferably as soon as it gets light. Have everything, even the odds and ends, packed up and ready to go the night before. To save daylight, disassemble your beds and sleep on air mattresses or foam pads the night before the move. This way, you don’t waste time taking furniture apart when the moving truck is parked and waiting. Winter is messier than other seasons. Movers and volunteers can track snow, slush, and dirt into the home as they bring items out and in. Make it faster and easier for them to remove and deliver items without any stress about damaging or staining the floors by laying down cardboard boxes and plastic drop sheets. It’s especially important to protect your floors if the home has hardwood, as the extra moisture can cause lasting damage. Another consideration is to turn off the heat while you’re actively moving things out of your old residence. With doors opening and closing constantly for several hours, you could lose a bit of money leaving the heat on. It’s best to simply shut off the thermostat until the move is complete. In the same vein, make sure the bathroom is still heated with a small space heater as a courtesy to helping friends, professional movers, and family members. Also, make a final confirmation call to your utilities company for the new home; make sure the lights and heat will be working when you arrive. Jumper cables, tow ropes, and window scrapers. If you have a sudden drop in temperature or a vehicle in the ditch during travel, you need to be ready. Several pairs of gloves. If it’s snowing, one pair of gloves can get wet fast. Plus, volunteers may not remember to bring gloves and their hands will get cold and clumsy without protection. Sheets and towels. It might not be snowing at the beginning of the day, but as the hours pass, you could experience snow or freezing rain. You can use the extra sheets and towels to protect furniture finish, artwork, upholstery, and electronics as you carry them into the house. Another extra that your volunteers will greatly appreciate is warm refreshments, such as tea, hot chocolate, or cider when things get too chilly. Provide plenty of water; staying hydrated helps you stay warm. Moving in winter presents some challenges, but with a professional moving company, you’ll have a much less stressful experience. Contact us at Wheaton World Wide Moving for more information. Great article! I would add that cardboard boxes don’t fare well in the rain. They also don’t do an excellent job of keeping excessive amounts of rain out. Try to cover boxes as you move them out to the car. At the very least, tape any seams or cracks with masking tape to help keep water from leaking through. Thanks for sharing the article!